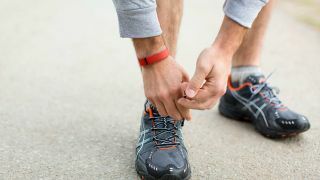 Fitbit is currently testing two new devices that will arrive later this year, claims a new report. Wareable says a source "close to the beta testing team" at Fitbit has confirmed the existence of two new devices, codenamed Laryon and Fermion, which will be announced at IFA 2016 this September. These new Fitbits are already being tested in public, but you won't see them - testers are keeping them carefully concealed under wrist covers. So the big question is: what will these new Fitbits actually do? Well, both the Fitbit Charge 2 and Fitbit Flex 2 surfaced in trademark filings earlier in the year, so it's likely that this is what we're looking at. It would be the first time Fitbit has updated the Charge since 2014 and the Flex since back in 2013. More recently, Fitbit has been focused on higher-end and more fashionable devices with the Fitbit Blaze smartwatch and Fitbit Alta tracker. The Fitbit Flex was a hugely popular, if basic, tracking device that charmed people (including us) with its low price and simple design. The Charge then added a screen and a couple of smarter features to make a more well-rounded tracker, even though it was plagued with a few skin rash problems. Here's hoping that problem is solved for the Charge 2. Earlier this year, Fitbit announced it was acquiring the mobile payment platform from startup Coin, so it's possible we'll see this new payment tech integrated into future devices - possibly the two mentioned above.